Knit fabric remnants are transformed to a sleepwear set with ruffle details. 99% of the remnant is used up for this project. The main materials for this DIY Fashion project was a piece of pink knit fabric remnant (a few inches more than a yard, cut out in places) and 1/2 inch elastic. Basic machine and hand sewing supplies completed the list. 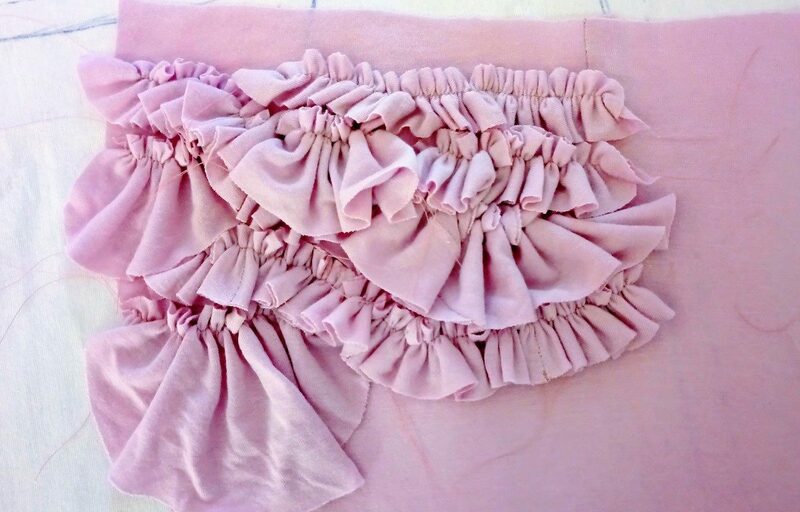 Read more about this project by visiting DIY Pink Ruffled Sleepwear Set post. Pieces of pink cotton knit fabric remnants are transformed to a sleepwear set. Smaller scraps are turned into ruffle details on the shirt and shorts. For partnership, collaboration, or media inquiries, please email musank@fafafoom.com.